When is Mothering Sunday Celebrated? Like we said, Mothering Sunday in UK is a separate holiday which does not correspond to the Mother’s Day observance in the US. It always falls on the fourth Sunday of Lent (six week period leading up to Easter) and is celebrated in honor of the Virgin Mary. Since the festival occurs in the middle of Lent, some people also know it as Mid-Lent Sunday. And as the day of Lent and Easter varies every year so does the day of Mothering Sunday. In 2019 it falls on March 31. Somewhere beneath the cards and bouquets of spring flowers lies a Christian tradition that goes far back in history. Mothering Sunday began in the 1600s as a solely religious festival and had nothing to do with honoring mothers. In fact, the word “mothering” referred to the “mother church”. The thing is, at the time it was common for children, even as young as 10, to work as apprentices or domestic servants away from home. Once a year, during Lent, employers traditionally gave the children an opportunity to go back to “mother” church for a special holiday service as well as to reunite with family. On the way home, which was usually a long walk through the fields, children would pick up bouquets of wild flowers and bring them along with special cakes and other small gifts for mothers and the church. Over time the word “mother” began to represent not only church but all mothers in general and the festival was named Mothering Sunday. 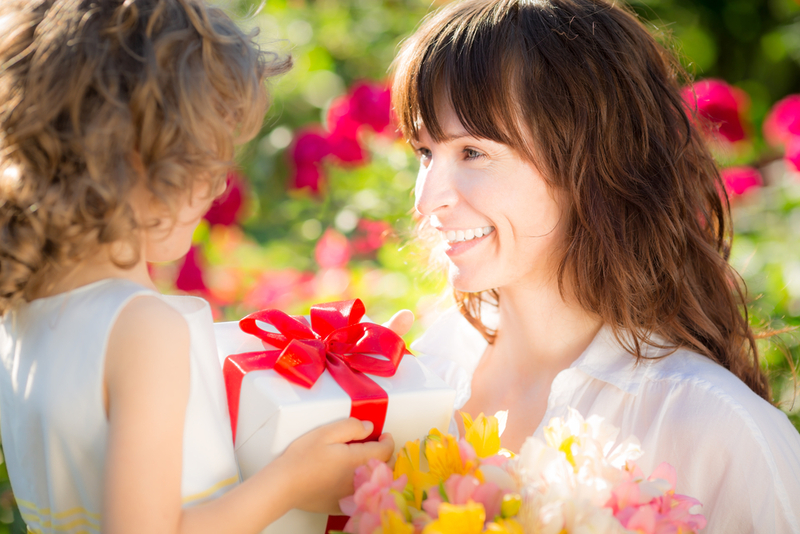 Like many of you know, Mother’s Day in US was established in 1908 by Anna Jarvis. She initiated the holiday in honor of her own mother, Ann Reeves Jarvis, who was a militant peace activist during the US Civil War. Ann Reeves passed away on the second Sunday in May and that’s when Mother’s Day has been observed since 1914 when President Woodrow Wilson designated the holiday the official national status. Despite its long history starting in the 17th century, Mothering Sunday in UK lost its popularity at the dawn of the 20th Century. And this is where Constance Smith enters the picture. A vicar’s daughter, Anna Jarvis’ campaign inspired her. Constance shared Anna’ passion about giving the holiday an official status. Smith worked hard to keep the dying tradition alive and thanks to her determination along with some American influence, the holiday was restored only with much more focus on celebrating motherhood rather than the religious aspect. Interestingly, neither Constance Smith nor Anna Jarvis ever became mothers themselves. Not happy about the growing commercialization of the holiday Anna Jarvis also disapproved of pre-printed Mother’s Day cards. She believed that they lacked any meaning and only came from people who were too lazy to even sign a letter on their own. While we do agree with Jarvis’s sentiment, we also believe that pre-printed cards have their own time and place. For instance, they come in handy when you’re ordering a gift overseas through an international gift delivery service and compliment it with a card that adds an extra personal touch. Luckily, not all Mothering Sunday customs perished after the Reformation. Constance Smith revived one of the tastiest traditions associated with the holiday: the Simnel cake. There are two opinions about the origins of the name Simnel. Some people think that the word came from Latin “simila” meaning fine wheat flour from which the original cake was made. According to another legend, the cake was named after a man called Simon and his wife Nell. On Mothering Sunday they couldn’t agree whether the cake should be baked or boiled and eventually used both methods which resulted in delicious cake recipe people enjoy to this day. 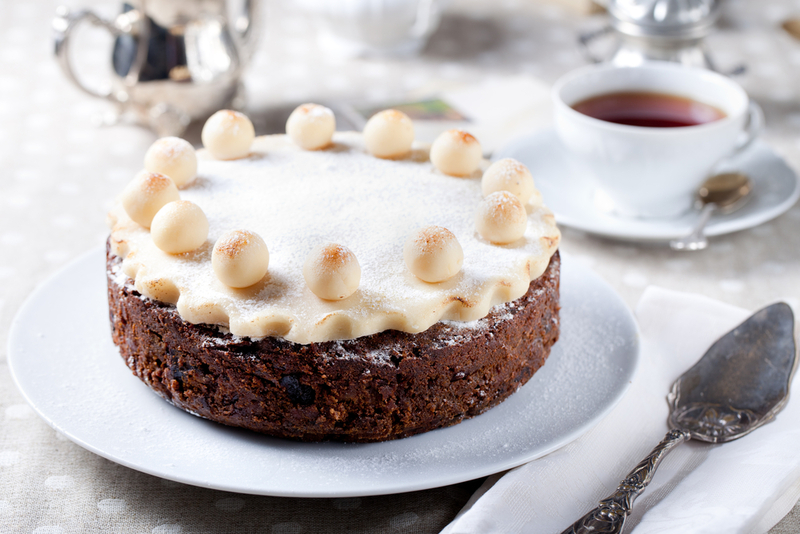 Packed with succulent fruits and fragrant spices Simnel cake is a real indulgence during the rigorous Lent period. But since it was made on Mothering Sunday also called Refreshment Sunday the fasting rules were not so strict and allowed people to enjoy this sweet dessert. Celebrants usually top this fruit cake with 11 balls of marzipan that represent the apostles. There is no one single go to recipe of Simnel cake and each region in the UK has its own interpretation, with some heavy debate about which is the best. To make things simple for you, we picked this really easy and delicious recipe that you can whip up in 10 easy steps and surprise your beloved mom on Mother’s day or Easter. Preheat the oven to 320F. Line 8” cake springform pan with parchment paper and grease well with butter. Bring the flour, sugar, ground almonds and mixed spice into a large mixing bowl. Stir well to combine. Cut the softened butter into chunks and add to the mix. Keep mixing to remove all lumps and the mixture is light and fluffy. Add eggs, milk and beat thoroughly. Chop apricots, cherries and stem ginger into small pieces. Add them along with raisins to the mixing bowl and beat until combined. Divide almond paste into 3 equal parts. Roll out 1/3 of the almond paste to an 8 inch circle. Place the almond paste circle on the cake batter in pan. Cover with remaining cake batter and level off the top. Bake in the preheated oven for 1 ½ – 2 hours, or until evenly brown and firm to the touch. If the cake is browning too quickly, cover with foil or parchment paper after an hour of baking. Set aside to cool for at least ten minutes before removing from the springform and leaving to cool completely on a wire rack. Set oven to broil. When the cake has cooled, brush the top with warmed apricot jam. Roll out 1/3 of the almond paste into an 8 inch circle and place on top of cake. Divide the remaining 1/3 of almond paste into 11 equal pieces and roll into balls. Using a pastry brush give a fine wash over the top layer of almond paste with beaten egg. Arrange the 11 balls around the outside edge on the top of cake. Brush lightly with egg. Place cake under the broiler for 8 to 10 minutes, or until almond paste is golden brown. Cool and enjoy! Whether you’re celebrating Mother’s Day or Mothering Sunday (or better both!) it’s important to show your appreciation to the most significant woman in your life. So if you don’t have time to bake your own cake, we have a few she’ll love – almost- as much. Or maybe more if you aren’t great in the kitchen! Your dear mother always deserves love and pampering and there’s never a bad time for demonstrating your feelings! Now You Know The Difference. Ready to Celebrate? You’ve read this far, we’re sure you have a friend who’d like to see this too. Click those share buttons.